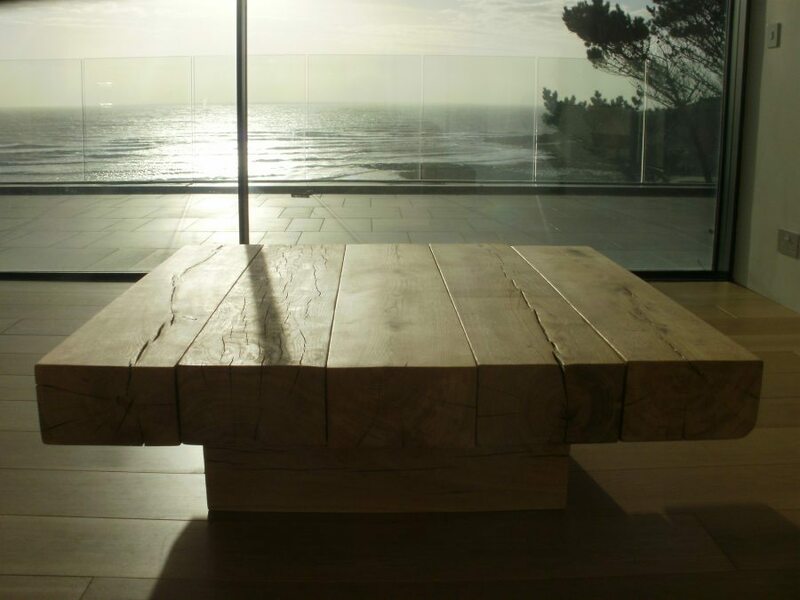 If you’re looking for a large square coffee table that will make a stunning centre-piece for your room for the rest of your life, then invest in a table of the finest hand-built quality. Our Amazonica style tables have what we call a floating table top which means that the table legs are set back under the table, giving the table top a floating appearance. 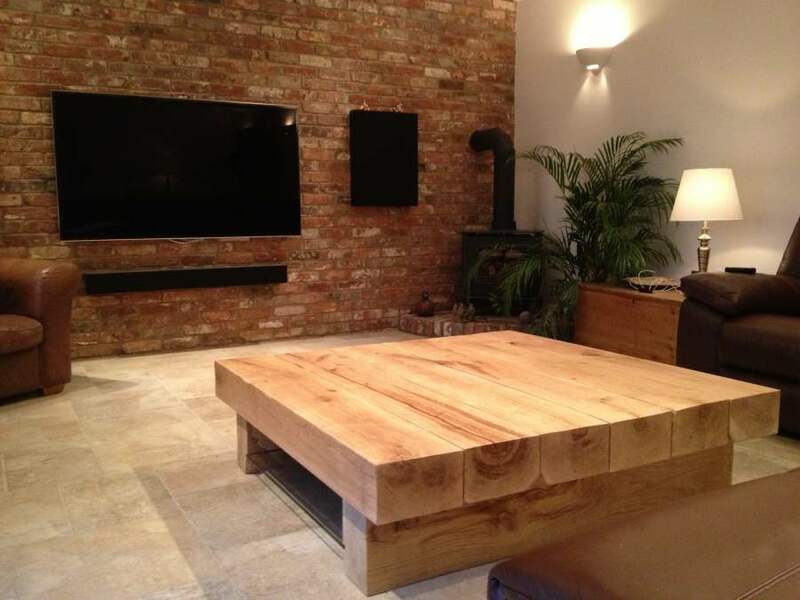 These large square coffee tables an exceptional centre-piece to any space, exhibiting the natural beauty of the oak beams whilst giving a room an original style. We offer this table with a glass storage shelf which is hidden under the table, keeping the table uncluttered and the room tidy. 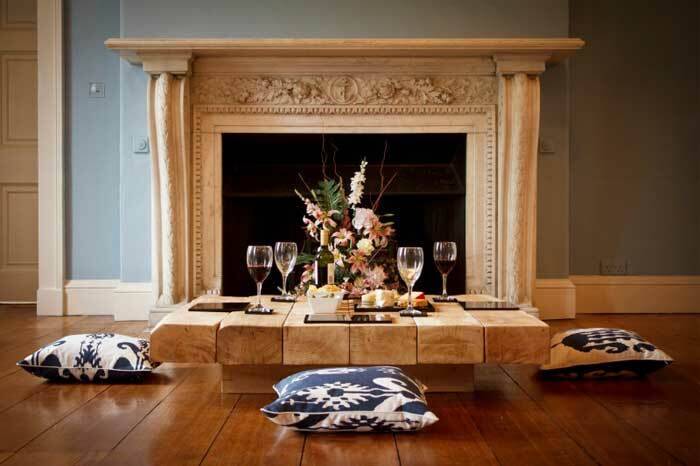 Our original large square coffee table is the Amazonica design which is a floating table. 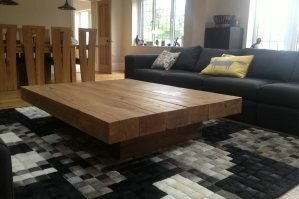 This large square oak coffee table is based on an far-eastern design and can be built to a conventional coffee table height. Or as it was originally designed as a large low table for floor-seating, the perfect focal point of a room for social gatherings. 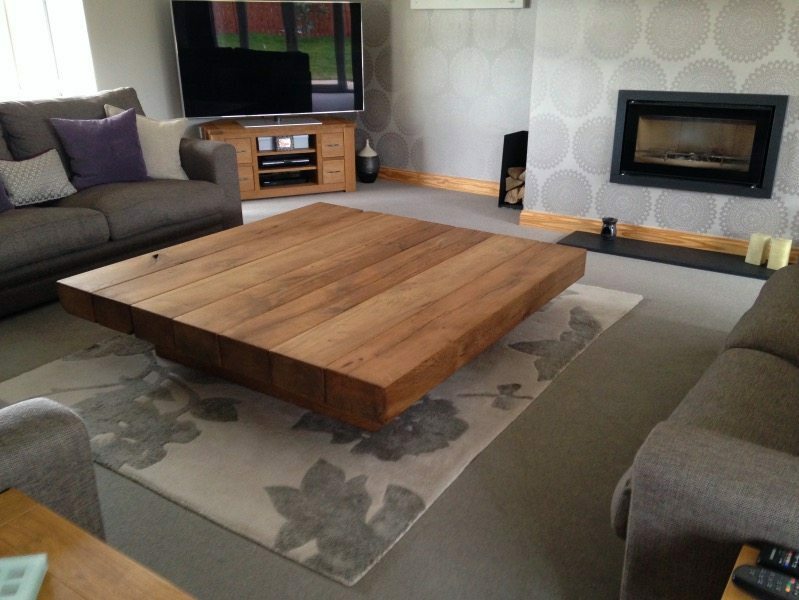 Alternatively, for a large square coffee table with loads of storage space, you can choose a square oak beam table in an Arabica style with a glass shelf. 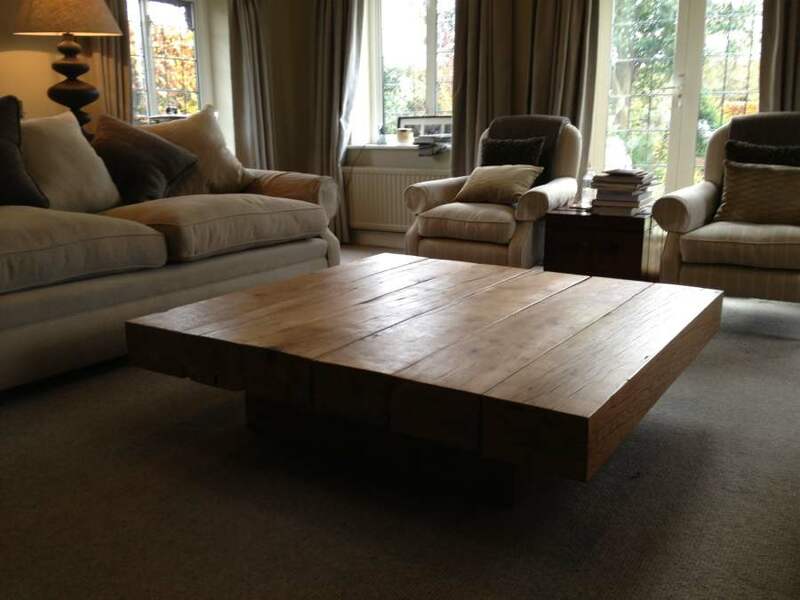 These tables are just a small selection that you can choose from, click here to see our other large oak coffee table models. If you’re looking for a table, the first thing to do is tell us what dimensions you think will make the perfect fit for your space. A good tip if you’re not sure is to mark out the size of your ideal table with masking tape on the floor, then measure the length and width of the taped area. You can choose a standard height of 350mm or a lower 260mm. 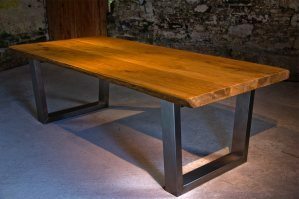 But if its something a little different you’re looking for, we can use other size timbers to make your table to the exact dimensions to perfectly fit your space and suit your needs. 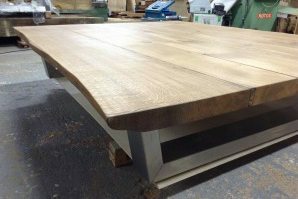 This is another unique feature that makes our high quality oak beam tables designed to stay strong and solid for life.